Earlier this year I reviewed Phantasy Star Portable for the PlayStation Portable. While I found it entertaining, and impressive for a pocket sized game, there were a few flaws in the cooperative experience. Sega is back now with another portable version of the Phantasy Star formula, this time in Phantasy Star 0 for the DS. While I'm still waiting for Sega to release a proper single player Phantasy Star sequel, I'll have to make due with the tacked on single player content in the Phantasy Star Online style titles. Phantasy Star 0 does a solid job in this department, adding anime style cut scenes and dialogue as well as plenty of NPC to adventure with. You'll start the game creating your hunter with the game allowing you to choose and customize from a variety of races, styles, and genders. As the story unfolds you'll discover the secrets to the planet you're on, though don't expect a typical long winded JRPG experience like the original Phantasy Star titles on the Sega Genesis. As the story progresses you'll visit seven different environments that get randomly changed up each time you visit them. The AI is along for the ride and does a somewhat decent job of helping you complete quests. Most of the quests end with you fighting a boss battle against some large creature. These battles are definitely tilted in the CPUs favor, so you'll want to bring a ton of healing items like Trimate. In the single player game if you go down, the AI can not revive you, so you'll have to respawn in town and head back to fight the boss again. 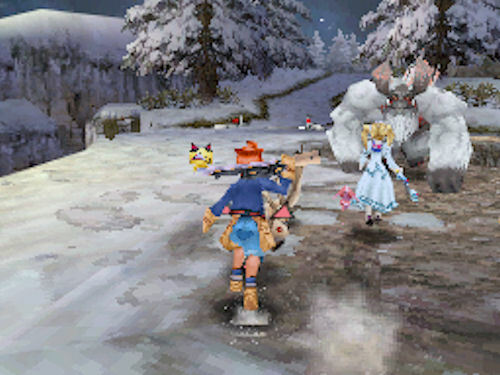 This single player experience still follows the Phantasy Star Online formula in terms of how it plays - kill everything in an area and move on to unlock the next area. Complete the quest, get your reward, rinse and repeat. It's identical for the most part to the game's multiplayer modes. Phantasy Star 0 is at its core, a hack and slash game with a focus on loot collecting and leveling up. The DS presents a few challenges to a game typically played with a multi button controller, but Sega does a pretty decent job of masking it. The one exception is the lock on button for attacks is also the same button as the one used to recenter the camera. What usually ends up happening is a dizzying ride during some of the more chaotic battles as you try to nail your attacks and remain focused on a target. Your single player character can be brought online to play with three other friends in the game's co-op mode. The online missions are unique, but there's plenty to be had, so you and your friends should always have a new challenge waiting. Communication is never an issue when playing in the same room with a bunch of friends, but if you venture onto the internet via the Nintendo Wi-Fi connection, you'll have the option to communicate with a picto-chat style system as well as quick pre-defined words. It works well enough in towns, but during the heat of battle it's rare you'll have a chance to draw a detailed picture of "Help I'm being mauled by rhinos." If you don't have any friends to play with there's a quick play match making option that'll pair you up with one or more hunters. The downside of this is you are limited to what you can do, including the aforementioned picto-chat. Half the fun with these style of games is showing off your loot with friends and bragging about some crazy weapon you picked up. It's about the social marketplace between players. 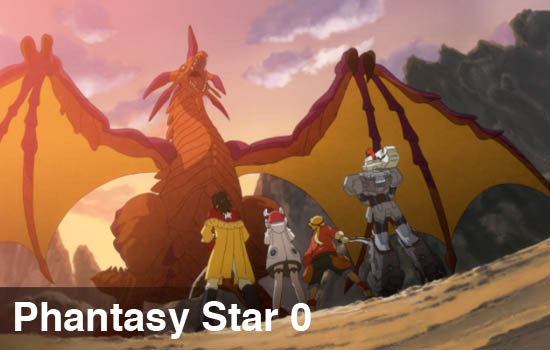 But that seems to be the end of the depth for Phantasy Star 0. The quests themselves all feel identical, and if I have to kill that damn dragon one more time I'm gonna scream. I just never get that epic sense while playing the game that I strive to achieve in my cooperative RPGs experiences. It's hard to put my finger on exactly what's so bothersome about Phantasy Star 0. On one hand I really like the direction the single player is going, on the other, the online component is starting to feel a bit aged. 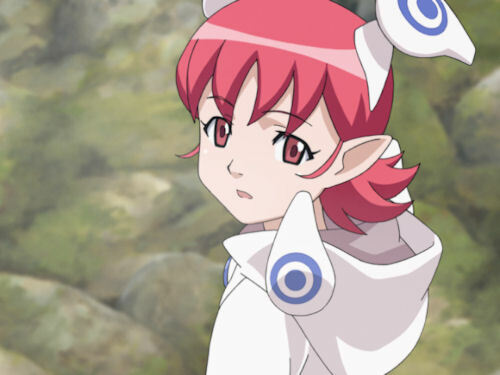 Phantasy Star Online came out almost 10 years ago, and the formula hasn't evolved all that much since then. The game is clearly designed for fans of the series and people who love loot collection style action RPGs. If either of those are you - you'll probably want to give Phantasy Star 0 a go. The Co-Op Experience: Join other players in the Phantasy Star world as you build your characters. Playable via local system link or online via Nintendo Wi-Fi players can chat utilizing a brand new "visual chat" interface. Page created in 1.2660 seconds.